Australian Broadcasting Corporation. 1990. Producers: Graeme Sward, Greg Simson. 2CD (OP) ABC. 4798322. (CA 4798324). 1995. 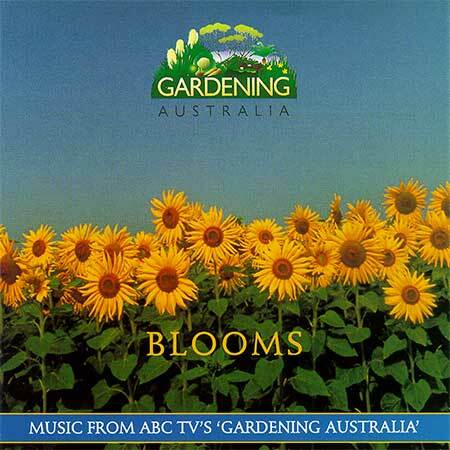 "GARDENING AUSTRALIA - BLOOMS". (Includes bonus CD - "BIRD SYMPHONY"). Love Theme From Wild Orchid. (3:13). (G. MacCormack, S. Goldenberg). Performed by Paradise. (Visions Projects, Inc. ASCAP). Arrival Of The Queen Of Sheba (From Solomon). (1:41). (Handel). Performed by the West Australian Symphony Orchestra, David Measham, Conductor. Countrywide. (2:54). (T. Emmanuel). (MCA Music). Performed by Tommy Emmanuel. (1987 Artful Balance/Sony Music Entertainment (Australia) Ltd). Moments In Love. (10:18). (Dudley, Horn, Jeczalik, Langan, Morley). Performed by The Art Of Noise. (Essex, MCA, Control). Dance Of The Mirlitons (From Nutcracker Suite). (2:10). (Tchaikovsky). Performed by London Symphony Orchestra, Sir Charles Mackerras, Conductor. (1988 Telarc International Corporation). Starting Out. (3:52). (M. J. Wenberg). Performed by Martin Johannes Wenberg. (Control). Alpha. (5:45). (Vangelis). Performed by Vangelis. (1994 BMG Records (UK) Ltd). Daybreak. (3:07). (T. Emmanuel). (MCA Music). Performed by Tommy Emmanuel. (1987 Artful Balance/Sony Music Entertainment (Australia) Ltd). March (From Nutcracker Suite). (2:33). (Tchaikovsky). Performed by London Symphony Orchestra, Sir Charles Mackerras, Conductor. (1988 Telarc International Corporation). Principles Of Lust. (11:55). v: Enigma. a) Sadeness. (Curly M.C., F. Gregorian, David Fairstein). b) Find Love. (Curly M.C.). c) Sadeness (Reprise). (Curly M.C. F. Gregorian, David Fairstein). (AMCOS Societies, EMI Virgin Music Publishing). (1991 Virgin Schallplatten GMBH). Moon Dance. (4:12). (A. Vollenweider). (EMI Songs Australia Pty. Ltd). Performed by Andreas Vollenweider. (Sony Music Entertainment (Holland) BV). Dance Of The Furies (From Orphee et Eurydice). (3:29). (Gluck). Performed by The Brandenburg Orchestra, Paul Dyer, Artistic Director. Mountain. (4:02). (de Telga). (Larrikin Music Publishing). Performed by Sirocco. (1989 Jarra Hill Records). Dancing With The Lion. (3:58). (A. Vollenweider). (EMI Songs Australia Pty. Ltd.). Performed by Andreas Vollenweider. (1989 Andreas Vollenweider & Friends AG/Sony Music (Germany) GmbH). Up From Down Under. (5:26). (T. Emmanuel, A. Mansfield). (MCA Music, EMI Songs Australia Pty. Ltd). Performed by Tommy Emmanuel. (1987 Artful Balance/Sony Music Entertainment (Australia) Ltd). Dance Of The Sugar Plum Fairy (From Nutcracker Suite). (2:20). (Tchaikovsky). Performed by London Symphony Orchestra, Sir Charles Mackerras, Conductor. (1988 Telarc International Corporation). A Gentle Place. (3:12). (C. Brennan). (BMG Music). (1993 The copyright in this sound recording is owned by BMG Records (UK) Ltd). CD (OP) ABC. 4796022. (CA 4796024). 1995. "BIRD SYMPHONY". Dawn On The Moscow River. Prelude To The Opera Khovanshchina. (9:51). (Mussorgsky). West Australian Symphony Orchestra, David Measham, Conductor. Berceuse From Dolly Suite. (Faure, orch. Rabaud). West Australian Symphony Orchestra, David Measham, Conductor. Danse Secree et Danse Profane. (10:18). (Debussy). Strings of the Sydney Symphony Orchestra. June Loney (Harp). Willem van Otterloo, Conductor. Gymnopedie No I. (2:30). (Satie, orch. Debussy). West Australian Orchestra, Albert Rosen, Conductor. Habanera From Rapsodie Espagnole. (3:59). (Ravel). Melbourne Symphony Orchestra. Hiroyuki Iwaki, Conductor. Introduction And Allegro (exc.). (12:37). (Ravel). Members of the Sydney Symphony Orchestra. June Loney (Harp). Willem van Otterloo, Conductor. Round Dance And Cradle Song From Eight Russian Folksongs. (Liadov). West Australian Symphony Orchestra, Peter Eros, Conductor. Gymnopedie No III. (Satie, orch. Debussy). West Australian Orchestra, Albert Rosen, Conductor. CD (OP) ABC. 4839312. (CA 4839314). 1996. 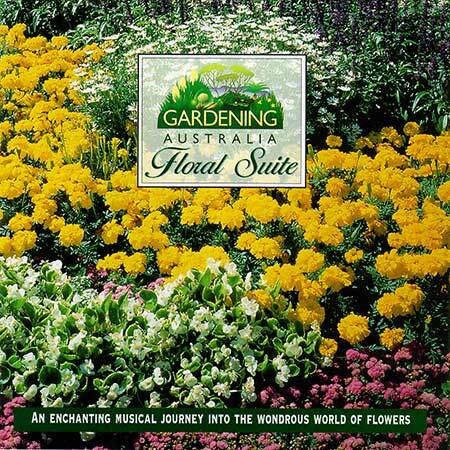 "FLORAL SUITE". On The Beautiful Blue Danube. (10:06). J. Strauss II. Queensland Symphony Orchestra. Vladimir Ponkin, Conductor. Arrival Of The Queen Of Sheba From Solomon. (3:12). Handel. Arr: Walsh. Guitar Trek. Intermezzo From Cavalleria Rusticana. (3:01). Mascagni. West Australian Symphony Orchestra. David Measham, Conductor. Brandenburg Concerto No.3 In G Minor: Allegro. (5:47). Bach. Australian Brandenberg Orchestra. Paul Dyer, Artistic Director. Dance Of The Blessed Spirits. (6:41). Gluck. Australian Brandenberg Orchestra. Paul Dyer, Artistic Director. Water Music Suite In G Major: Minuet I And II, Gigue I And II. (5:00). Handel. Australian Brandenberg Orchestra. Paul Dyer, Artistic Director. Divertimento K136, Allegro & Presto. (7:27). Mozart. Arr: Kain. Guitar Trek. Gymnopedie I. (3:10). Satie (orch. Debussy). West Australian Symphony Orchestra. Albert Rosen, Conductor. Concerto VIII In A Minor. (10:29). Vivaldi. Australian Brandenberg Orchestra. Paul Dyer, Artistic Director. CD/CA (AD) ABC. 2003. 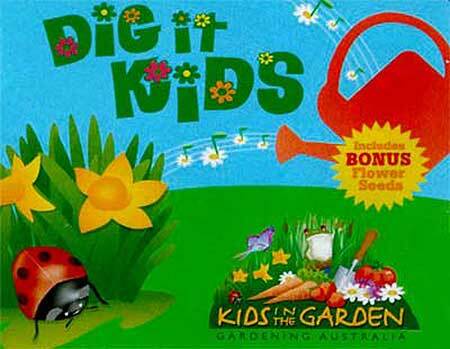 "DIG IT KIDS - KIDS IN THE GARDEN". CD(t) (ST)	(See COMPILATIONS - ABC TV THEMES: CD2-Tk11).